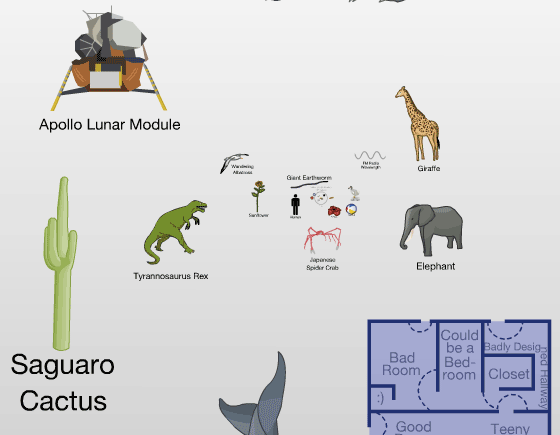 An interactive Flash animation titled “Scale Of The Universe 2“, covering everything in the universe from the fabric of space-time to the estimated size of the universe, was posted earlier this year, and it is awesome. A month or so later, it went viral, but why…so popular? First, the actual scale of the universe is mind blowing as it spans 62 orders of magnitude (that’s multiplying 62 10′s together). Second, the animation is very well produced and packed with information. It’s true, it is really fun to play with, especially with all the weird objects they use for comparisons. I snapped a few screenshots below to show you some of them. The first one is where the animation starts and the second is after scrolling out a bit. 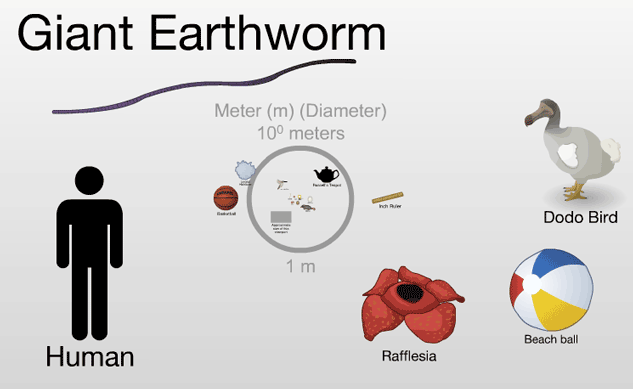 In both, you can see the size of a human in comparison to many objects (in the second one, there is a tiny human in the center). 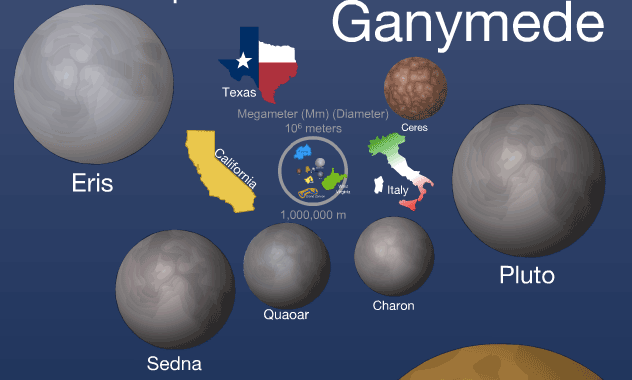 In the last screenshot, you can see how California, Texas, and Italy are about the size of many moons and Pluto! Rumors are swirling that Borders bookstores is shutting down 400 stores and laying off 11,000 employees. Which may be the kill shot from the internet we have been talking about for years. First, it stinks that several thousand folks are going to be out of work. I always liked bookstore employees because they are the friendliest in the retail world. If you look to Barnes and Noble, the titan of bookstores, they too are on the chopping block. Up for sale with a potential buyer, the company is losing money every quarter. The strongest segment of the business is their e-book reader, the Nook, and the corresponding e-book sales. This all means that book superstores are going the way of the Dodo bird. The movie business is already done. Blockbuster is in the process of closing 1,000+ stores. Hollywood Video is in bankruptcy and, for me, they even tore down the building at the one I used to work at in Westwood! The sales of DVD’s also plummeted 20% in the first quarter of 2011. I can’t remember the last time I bought a DVD. Music and CD sales have been done for a while. The stores that used to sell CD’s: Wharehouse, Virgin Megastores, Tower Records, and others are now just fading memories. The empty stores they left behind only show a passing resemblance to the hotspots they once were. Here is a chart that shows 2009 sales of CD’s lowering back down to 1985 levels. The internet has finally overcome and I say it’s for the better. Music is not dead, movies are still alive, and I’m reading more books than ever. Perhaps the megastores, big boxes, and local DVD stores are gone. But, in their place I think we can expect more mom/pop used book stores, cult favorite CD stores (Amoeba music), and on-demand movies. It’s a plus for all of us!